Next to the great "Best Albums Of The Year" lists and the "Happy New Ears Award", it makes sense, as we do every year, to highlight the work done by a number of musicians. Typically, you can only be named "Musician Of The Year" once, so Wadada Leo Smith, Satoko Fujii, Joëlle Léandre, Barry Guy, Martin Küchen, Alexandra Grimal, Ingrid Laubrock, Waclaw Zimpel, Evan Parker, Nate Wooley, Alexey Lapin, Lotte Anker, Mats Gustafsson, Trio X, and others are no longer eligible. (See tag "Musician Of The Year 20XX" on the right to get the full overview). So who was strong this year? A lot of musicians, in short, with a difficulty for this reviewer to select their names. The criteria of course are the quality of the music, but also the relevance of it with a longer term perspective, as well as some of the quantity, in the sense that their sound has shaped the music of this year. I have to be a bit broader than the previous years, maybe out of necessity, because the choice is really tough. And to be honest, this is my own personal list, and this is not the result of some democratic process within the "Free Jazz Collective" virtual team. Matana Roberts' Mississippi Moonchile, the second part of her epic Coin Coin figures on many "best of year" lists, figures in our own "Happy New Ears Award" list, and rightly so. Her output is not that prolific as some of the other musicians on the list, this is only her eighth album as a leader, but the authenticity of her story and the personal approach to music, make her one of the most remarkable and memorable musicians of the year. 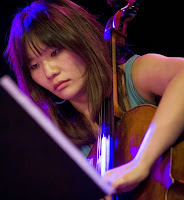 The Korean cellist delivered her phenomenal solo album "Ghil", a powerful and unique album, turning noise into a musical testament. 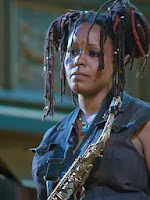 She also performed on "Long Story Short", with Lisa Ullén & Nina De Heney's "Look Right", and with John Edwards on "White Cable, Black Wires", an album which also was in our top list of most innovative listening experiences, and then there's the not reviewed album with C. Spencer Yeh and Lass Marhaug "Wake Up Awesome". 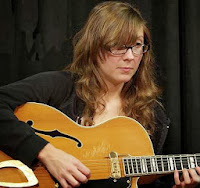 Guitarist Mary Halvorson appears to have been omnipresent this year. Her typical guitar style and inventive improvisations have made her a much demanded band member. But her own work stands out too. 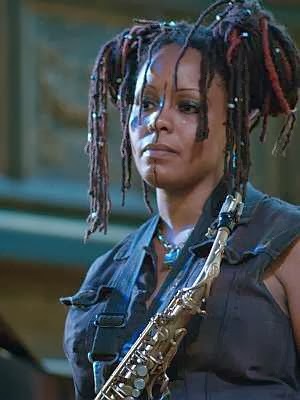 With her septet, she released "Illusionary Sea", listed in our "Best Albums Of The Year" and "Happy New Ears" contest, with her own trio on "Ghost Loop", with Ches Smith and John Hébert, on "Sifter" with Kirk Knuffke and Matt Wilson, with Secret Keeper's "Super 8", a duo album with bassist Stephan Crump, and with additional performances on Taylor Ho Bynum "Navigation", on Brian Questa's "Jazz Booty", on Anthony Braxton's "Echo Echo Mirror House", with Braxton and Taylor Ho Bynum on "Trio (NYC) 2011", on Ingrid Laubrock's Anti House "Strong Place", Joy Mega's "Forever" is Something Inside You, Ches Smith and These Arches's Hammered, on Curtis Hasselbring's "Number Stations" ... and I may have missed a couple. Halvorson is in great demand apparently, and with reason. 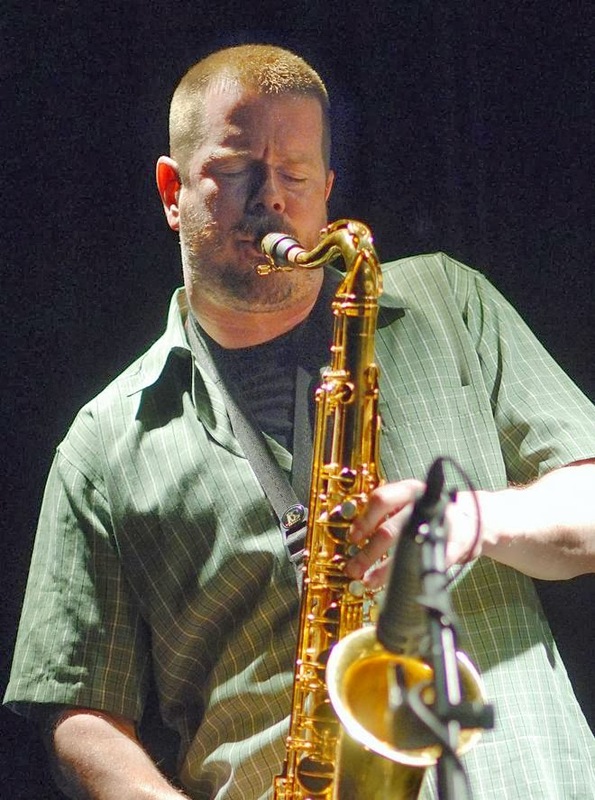 In a way, every year is Ken Vandermark year, with a prolific output of music, endless projects and new takes on music. He can be part of this list in any year, but I think this year marks a great moment to do so. 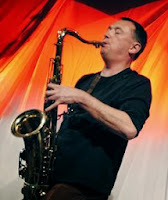 We started the year with his two strong Made To Break albums "Provoke", and "Lacerba", his daring Rara Avis project with "Mutations / Multicellulars Mutations", a more typical release by the great saxophonist on "Ken Vandermark’s Topology Nonet feat. Joe McPhee - Impressions of POMusic", in the excellend "DKV Trio plus Mats Gustafsson, Massimo Pupillo and Paal Nilssen-Love: Schl8hof", on the yet to be reviewed "Verses", a duo album with Mats Gustafsson, and finally he also performs on Devin Hoff's "Ansible". 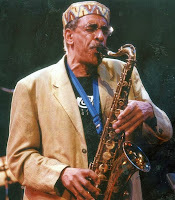 The late Danish saxophonist was not a very prolific musician, but in 2013 two fantastic albums were released, first of all the great "Tribal Ghost", a performance with Charlie Kohlhase, Garrison Fewell and Cecil McBee that figured on many "best of year" lists, and his "Other Violets" with The Engines also received excellent reviews. He passed away in 2012, and it is our tribute to the man to put him on our list of musicians of the year, albeit posthumously. Another acolyte of Anthony Braxton really flew high this year, with his own "Navigation", a strange and beautiful composition for improvisers, as idiosyncratic as the form of its release. Bynum was also part of this other widely acclaimed album, "Slow And Steady" by the Convergence Quartet, and he was also brought us with "Book Of Three - Continuum", a fantastic trio album with John Hébert and Gerald Cleaver. 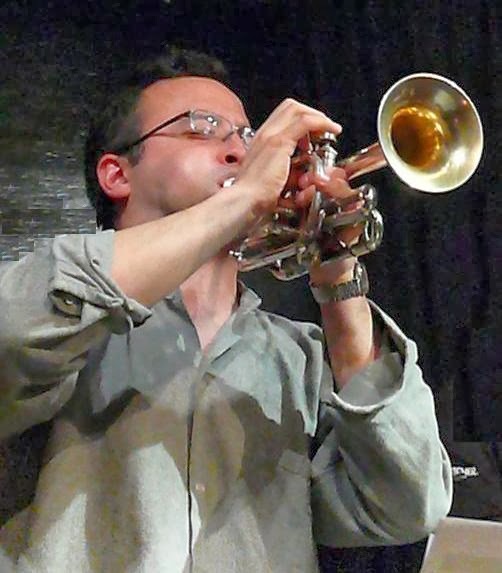 He also played the cornet on Braxton's "Echo Echo Mirror House", and on Gianni Lenoci's "Empty Chair", and finally on Tim Daisy's "Streets In Time". 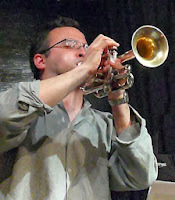 Not reviewed yet is his performance with Braxton and Halvorson on "Trio (NYC) 2011", and on Braxton's "Quartet (Warsaw) 2012", and finally in duo with Braxton on "Duo (Amherst) 2010". Like with Vandermark or Gustafsson, possibly every year is a John Butcher year, yet I think some of the music he recorded this year shows the various sides of the saxophonist. His own solo "Winter Gardens" is among my favorites of the year, just like Common Objects with "Live In Morden Tower", his collaboration with Joachim Badenhorst and Paul Lytton on "Nachtigall" , with Thomas Lehn & John Tilbury on "Exta", ending sixth in our Happy New Ears contest, with Magda Mayas, Tony Buck & Burkhard Stangl on "Plume", and then I need to mention two albums of 2012 that were only reviewed this year, namely All But's "Meetings With Remarkable Saxophonists, Vol.2" and Butcher's own "Bell Trove Spools"
Other musicians really stand out too, like Joe McPhee, whose been as prolific as ever, releasing his own "Sonic Elements" and participating as a guest musician on many other albums. Rob Mazurek also did fantastic stuff this year, with two Exploding Star Orchestra releases, but also solo and with the São Paulo Underground. Paal Nilssen-Love did great things too, as is attested by the entire week we dedicated to his recent albums, almost outdone by Tim Daisy, this other drummer, who's been playing in many bands and released some great albums as a leader too. Ivo Perelman was also noteworthy, with a string of excellent releases in various line-ups and musical approaches. Special mention also to Portuguese bass-player Hernani Faustino, pianist Rodrigo Pinheiro and drummer Gabriel Ferrandini who played on no less than three albums that figured on our "best of year" lists: with RED Trio's "Rebento", (all three) with Lotte Anker on "Birthmark" (Pinheiro and Faustino), and with John Irabagon's "Absolut Zero" (Faustino and Ferrandini). Yes, and of course we had Braxton himself, with no less than fifteen releases this year, although many of those date from many years ago, we had prolific output from Brötzmann too. One last comment on record labels. Great to get to know their music. It's hard to select musicians as the most determinant for 2013, not because there are so few, but because there are so many. In any case, we want to thank them all for their great art and albums and performances. We thank them for the beauty and the great listening experiences. Much more will come in 2014 ... and the first albums of the year already arrive ... and I can tell you, they sound promising.